This sculpture is composed of three standing forms which suggest a sacred circle. 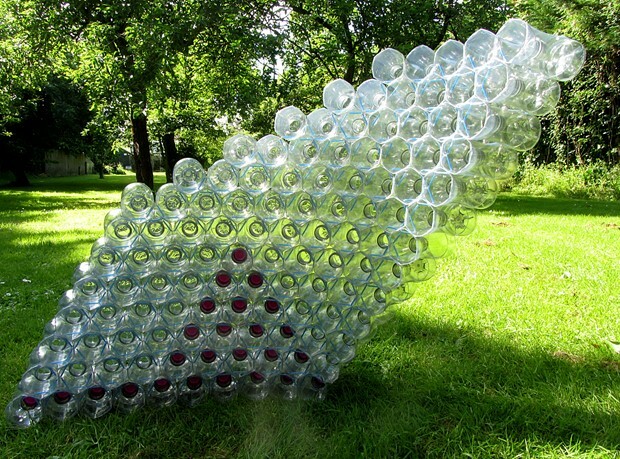 Each form is made of a "honeycomb" of hexagonal cells, each cell was a plastic bottle. 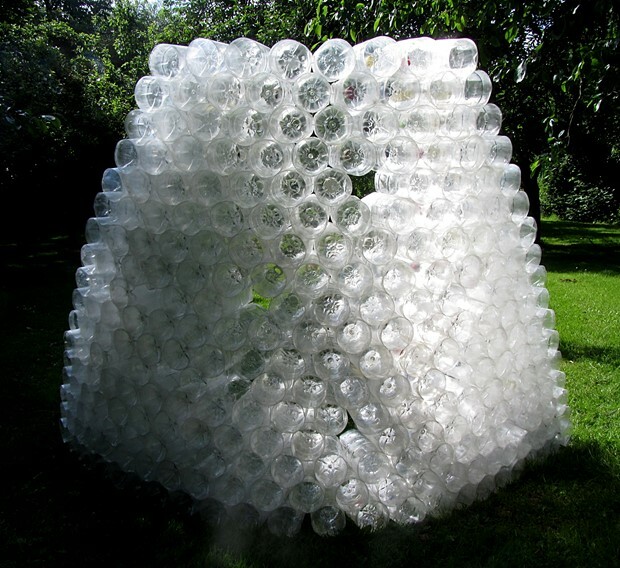 The largest and smallest forms are reconfigured from a previous sculpture, "Lightness of Being". 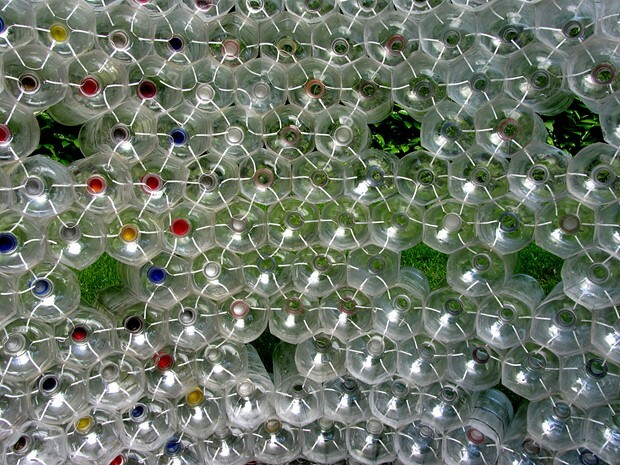 The blue-tinged form is made from small bottles, these were made from recycled plastic and are rejected due to faults. 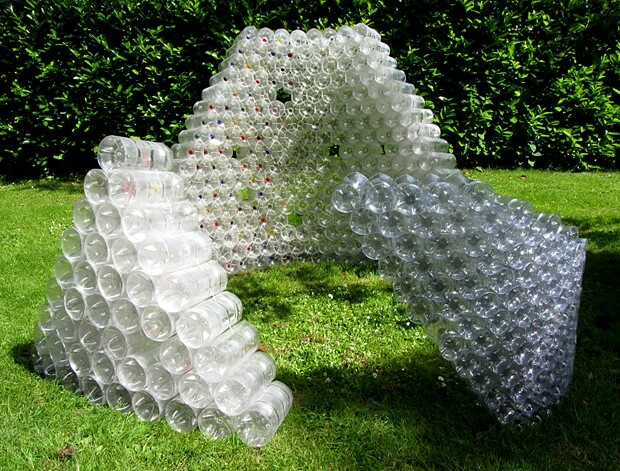 This sculpture was made for a commission from Norfolk Waste Partnership.